Futhark Fridays are finally here. In this series I will be discussing the Elder Futhark Runes. I used to use runes all the time. It was one of the first forms of divination that I used, but since I started working with Tarot and Oracle Cards I found that my rune readings have taken a backseat. Even though I will probably still use my tarot cards more than runes, I by no means want to get rusty on my rune reading abilities again.I’ve never really looked deep into the rune legends before (Norse Mythology was never really a huge interest of mine), instead the divination uses spoke more to me. I do feel that it is important though to lightly cover a little bit of the history of runes before moving on. Mythologically speaking the runes come from Odin, who (according to my research I’m not an expert and only paraphrasing) sacrificed himself to himself by hanging from the world tree. Beneath him is the Well of Urd. As he hung and fasted for nine days he feared into the Well and saw into the past. He connected the symbols to meanings and then proceeded to pass this knowledge on to the rune masters upon his return. Historically speaking, the oldest form of the runic alphabet has been traced back to as early as the first century (possibly earlier) by Germanic tribes and is known as the Elder Futhark. It is believed to possibly have originated from parts of Latin, Greek, and some other unknown languages, and from there other forms of the Futhark alphabet were formed. 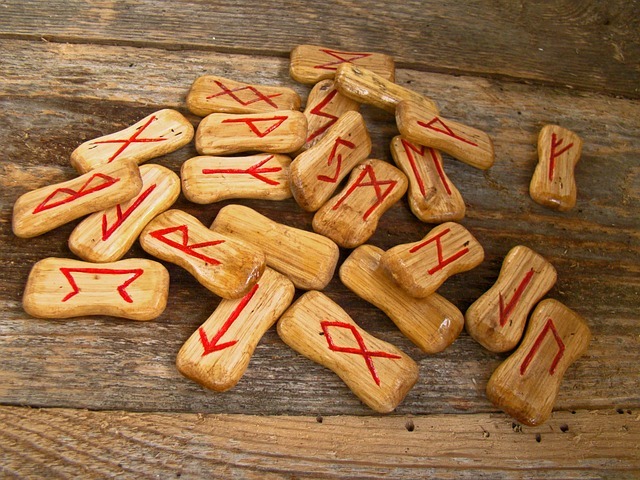 Rune sets that are most often seen are the Elder Futhark. These contain the 24 characters that make up the runic alphabet along with one blank lot. These sets come in different forms, some are made of metal, wood, cards, but most often are made out of stones or crystals. I prefer the stone or crystal ones myself, but get a set that works for you or you make your own. I am looking forward to starting this journey on rediscovering the runes and how to use them. Next Friday we will be discussing Fehu. If you have any additional sources that you would like to add to mine and everyone else’s reading list, please leave a comment so that we can all gain a further knowledge into this wonderful kind of divination.